I was completely entranced by Pao Houa Her’s exhibition at the Minneapolis Institute of Arts last summer. 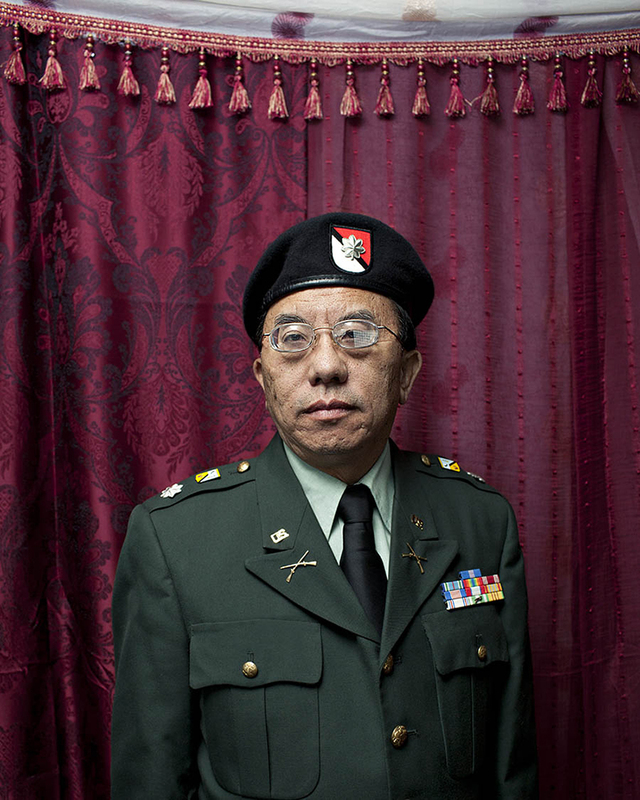 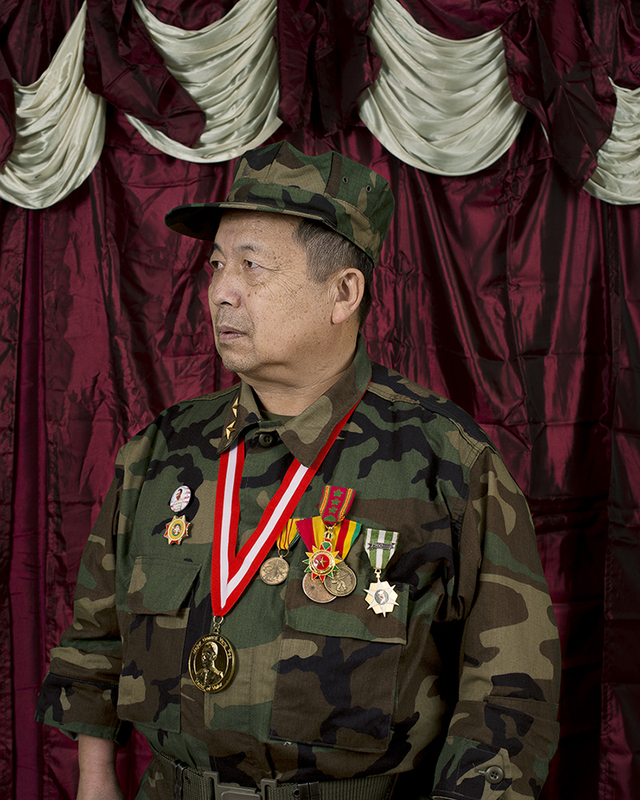 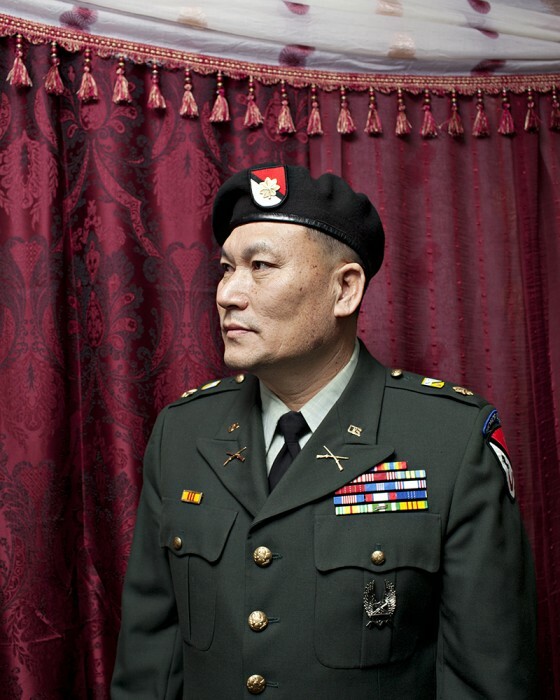 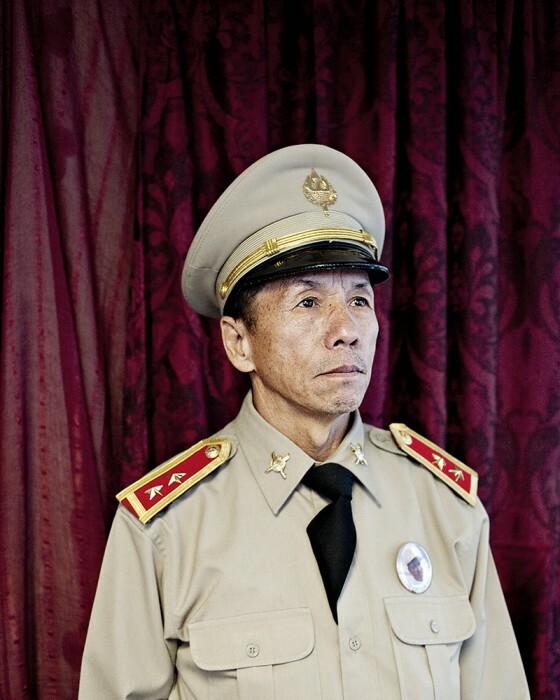 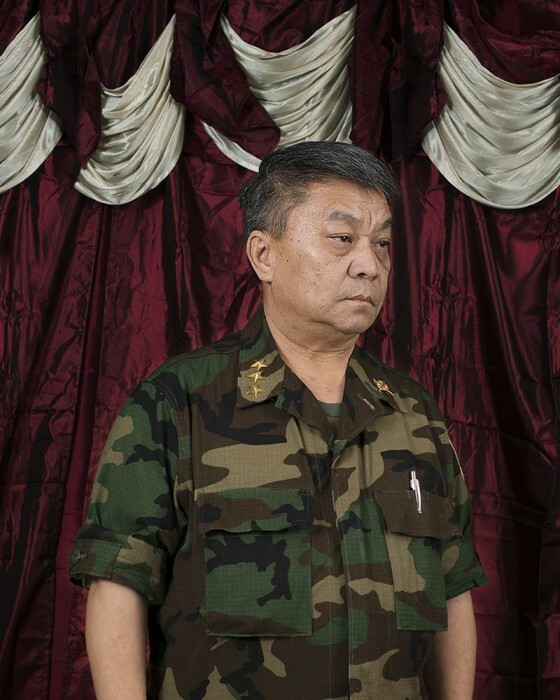 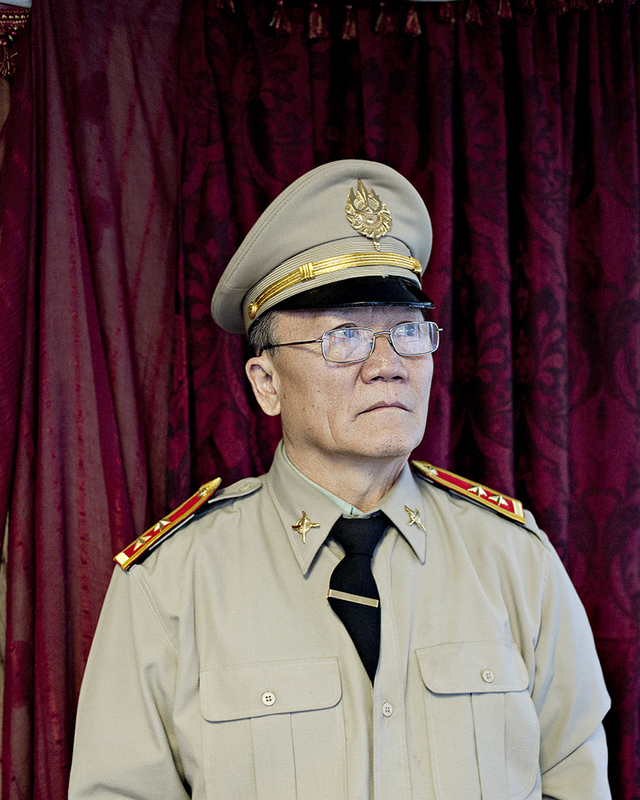 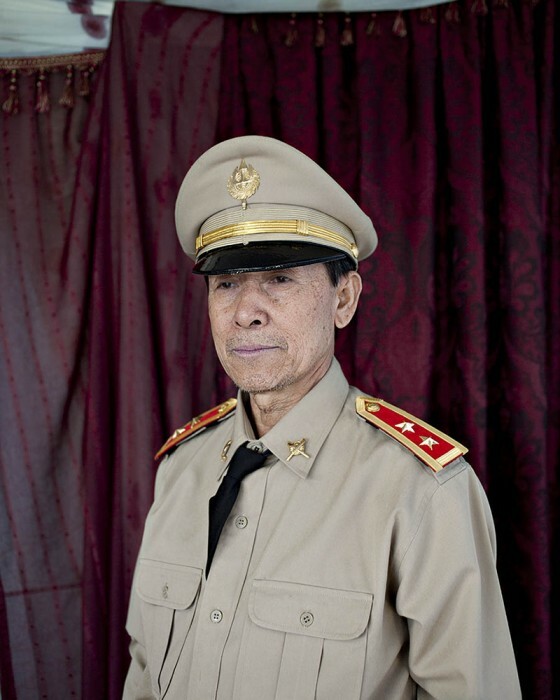 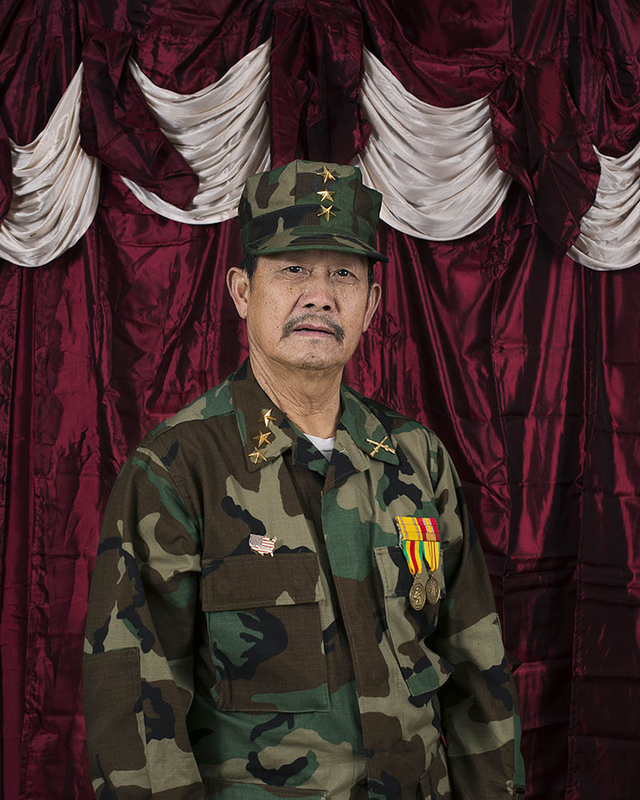 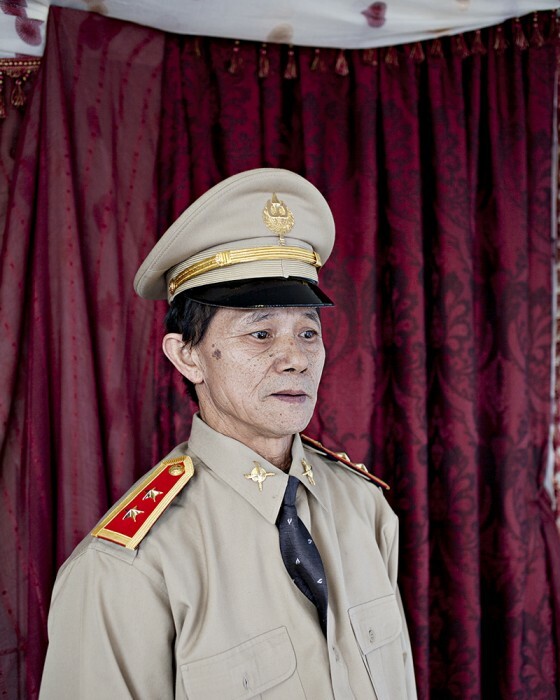 Her series, Attention, is a grouping of portraits of Hmong-American veterans in varying levels of military regalia standing at attention for her camera. 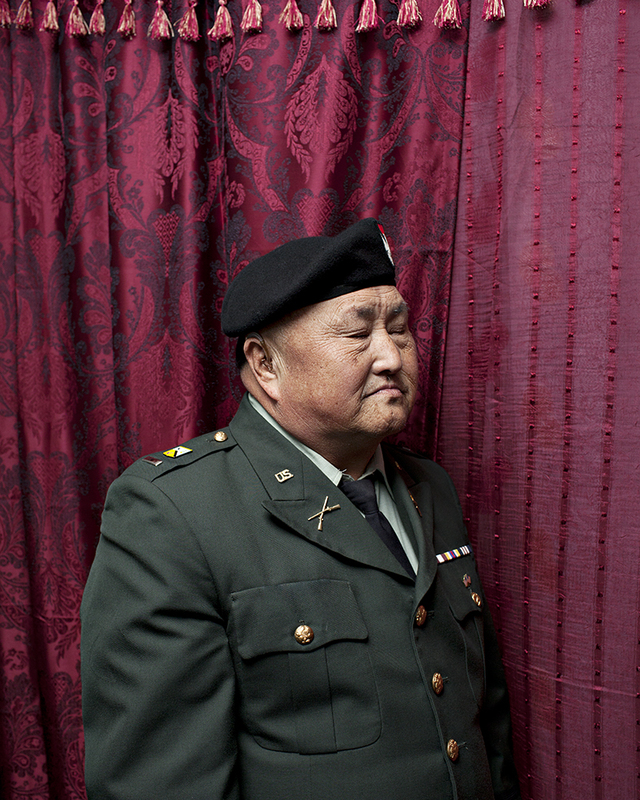 The straight-forward portrait work is both a celebration of a community of veterans and a quiet critique of the ways in which veterans are forgotten or flat out ignored. 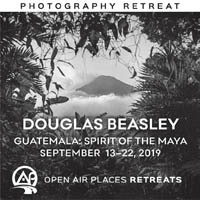 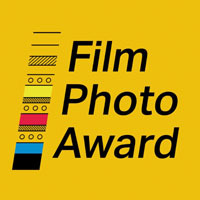 Her’s project is an important reminder that any one photograph is capable of telling multiple stories at a time. 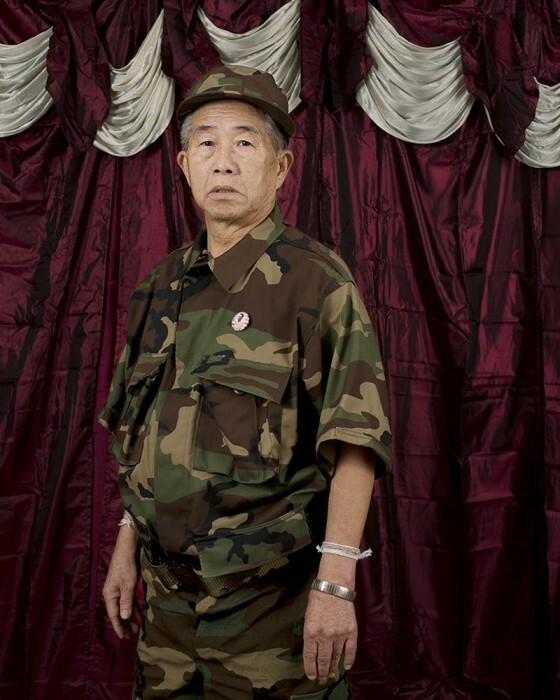 Pao Houa Her was born in Laos. Her and her family moved to Minnesota in 1986. 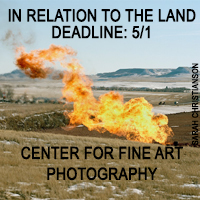 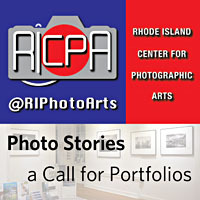 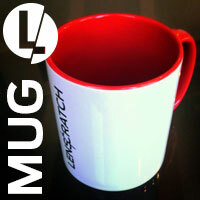 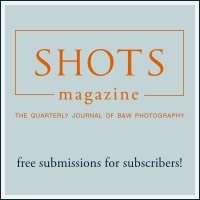 Her studied photography at Minneapolis College of Art and Design where she received a BFA. 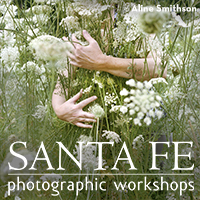 In 2010, Her attended Yale University, School of Art where she received an MFA. 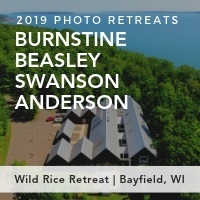 Her currently lives and works in Twin Cities. 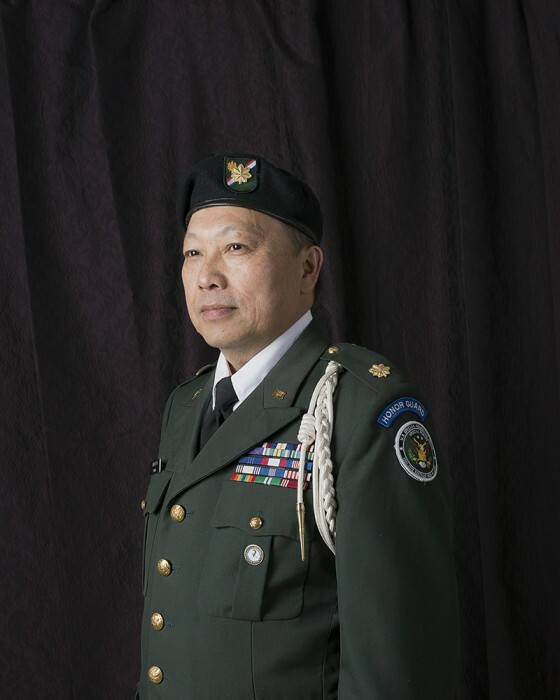 “Attention!” is called when an officer enters a room occupied by enlisted personnel or cadets. Hmong Vietnam war veterans from California, Wisconsin and Minnesota are photographed using tropes from the 19th century General paintings, Civil War soldier portraits and official presidential portraits. 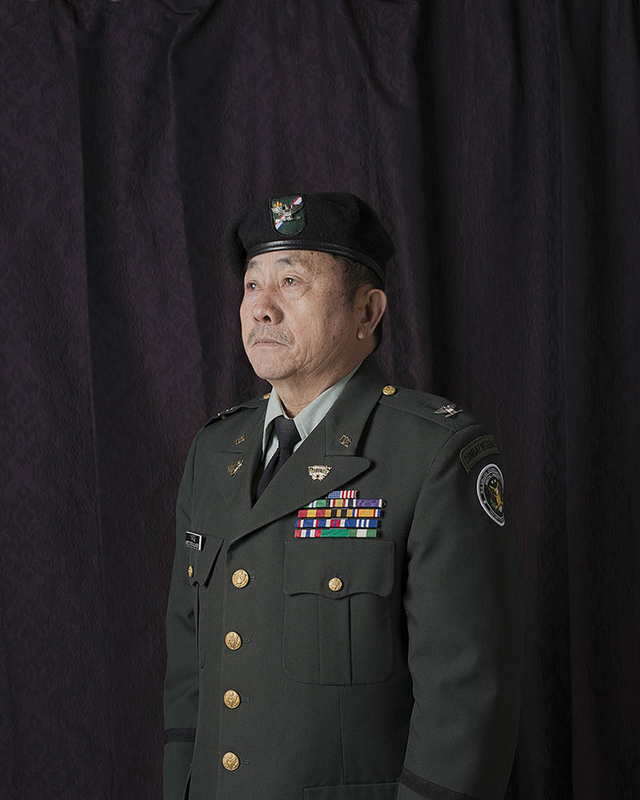 I do this to highlight their service in the war because the United State military does not recognize them as American veterans. It is this lack of recognition from the American government that drives these men to buy their own uniform, medals, and ribbons to insert themselves in the US military. 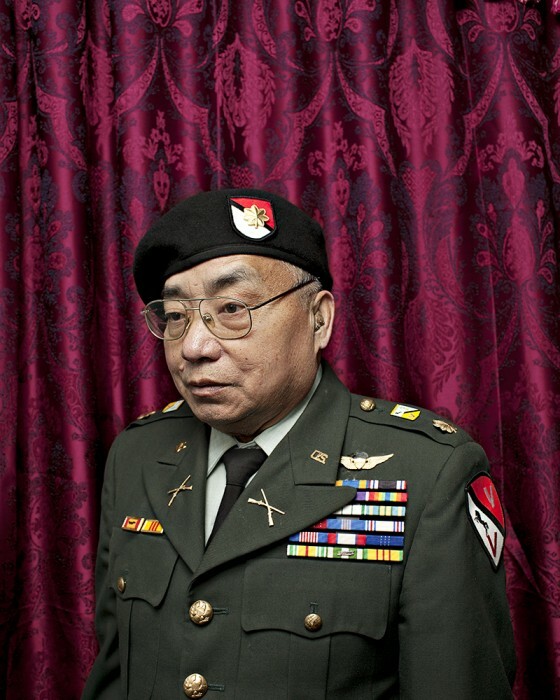 The uniforms they wear are important; it serves as a reminder of their services and their desire to be recognized by the United State Military. 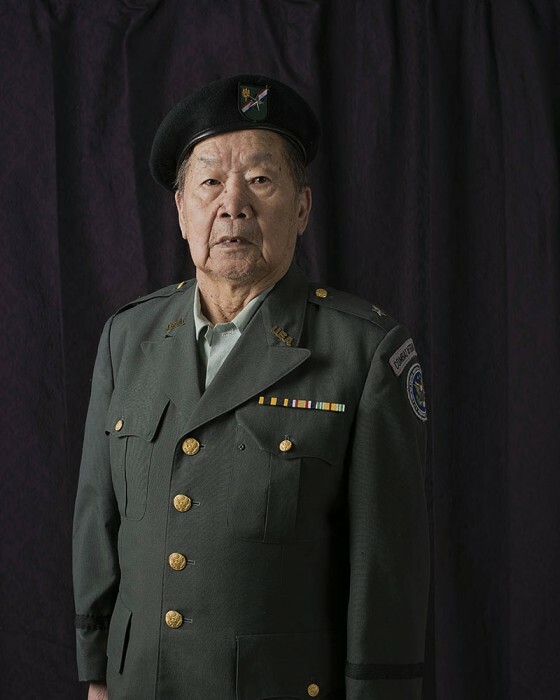 For these veterans, the war and their services are reminders of a life they gave up in Laos for their American allies, the very life they dream to someday go back to.